Mont Saint-Michel is one of the largest tourist destinations in France. This is a very famous tourist site in Normandy. The town is famous for its great architecture and its bay. As for rock, it has a dense and attractive rocky shape. First we must distinguish between Mont-Saint-Michel is the town located in Normandy. 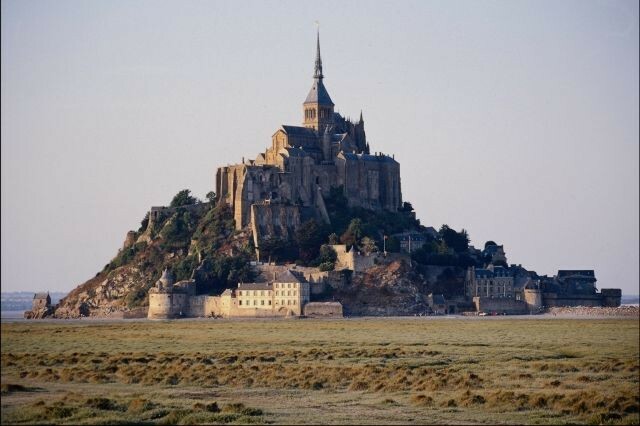 This joint like its name from Mont Saint-Michel is the rocky islet topped by the Abbey of Mont-Saint-Michel. The rocky mountain is the destination that attracts more tourist because of the architecture of the abbey. These places are also known for cultural activities which take place such as concerts and exhibition at the abbey or some festivals that attract many people, local and visitors. But there are also other religious buildings such as the chapel and the fountain Saint-Aubert. Then there is also the parish church of St Peter is a parish full of history with the presbytery. The city of Mont-Saint-Michel has kept from its medieval structure with different towers and churches. In fact, sixty buildings were declared historical heritage. Apart from its history, the town has also its culture that generally appeal to religion with the Monastic Fraternities of Jerusalem in the abbeys that tourists are discovering with fascination. Mont Saint -Michel and its rocky structure represents the world's eyes the world french heritage site. Otherwise the local cuisine is as attractive as the landscape. Breeders usually specialize in sheep farming where sheep roasted or braised salt marsh that is the specialty of the town. Otherwise, it is also possible to taste the famous omelet of the mother Poulard is a pride for the villagers. Finally, site representative arts are absolutely discover it from the Middle Ages with the great painters of paintings in museums in the town. In short, the Mont-Saint-Michel is not only famous for its landscape but for historical and cultural values ​​allocated to each monument and each practice of the population: food, prayer, activity. 7 Déc. 2016The beauty of the Mediterranean coast1254 aff.